When one imagines his or her dream kitchen, surely that image is more than likely characterized by cleanliness, above all. As everyone should know, a clean kitchen is a happy kitchen, and a happy kitchen makes for a happy chef. 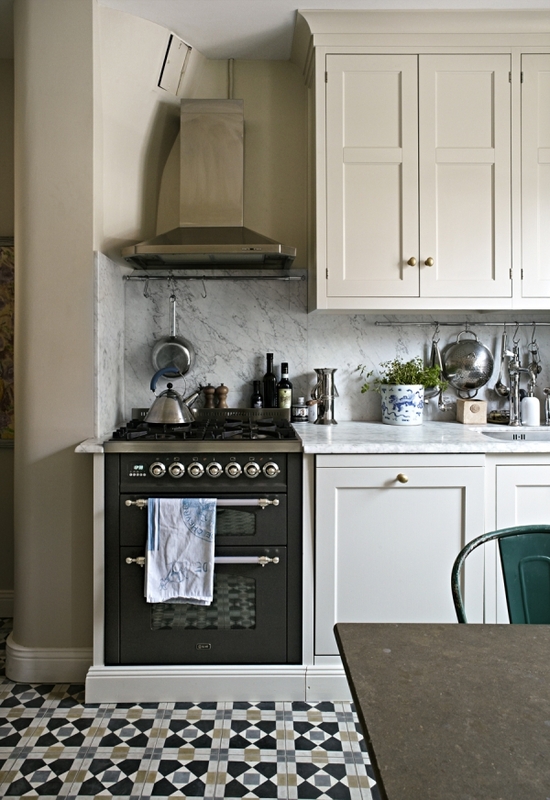 So, how best to achieve that clean, minimal look in your kitchen? 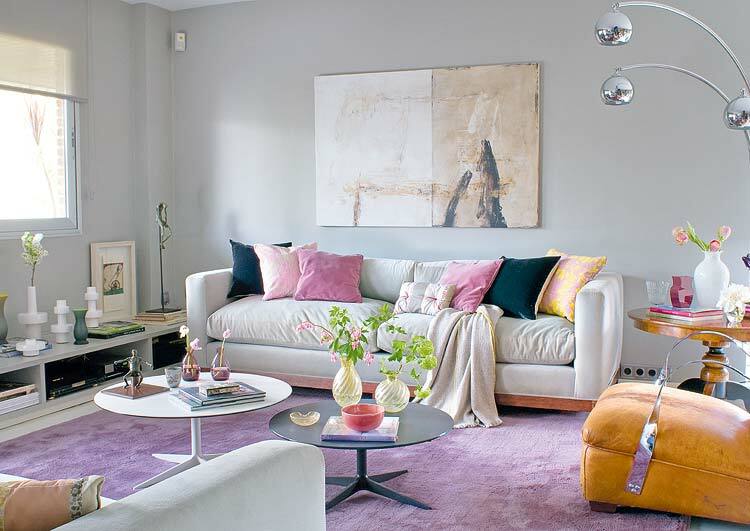 As many interior design enthusiasts know, the answer to that question is simple: use lots and lots of WHITE. Not only does the color white provide that desired clean effect, but it also works as a wonderful blank slate: your bright red pots and pans, fresh green herbs, and stunning array of colorful cutlery will let their prominence best be known against a snow-like backdrop. 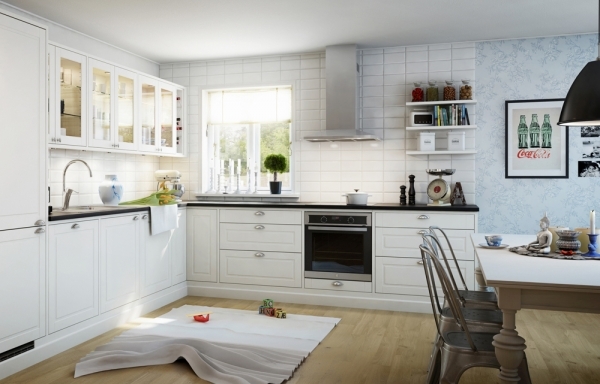 And of course, the more open and airy the kitchen, the better – as these images so demonstrate. As you can see, each white space is awash in sunlight, which lends a certain sparkling quality to already pristine-clean rooms. Also, it’s important to keep in mind that more natural light in the kitchen = more opportunities to grow amazing herbs in your workspace! Another wonderful idea, illustrated so brilliantly here, is the act of artfully displaying all your cookware, plates and other utensils in a nice, open cabinet – further adding to the desired clean look. This kind of stylish display also provides a certain accessibility to your kitchen, which is a wholly important factor to consider when contemplating kitchen interior design. 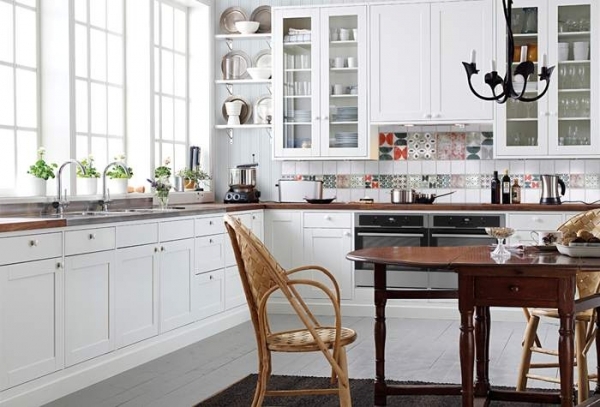 Pops of color that accentuate an all-white backdrop are integral to your kitchen’s look. Greenery in the form of plants, cheery flowers, big bowls of delectable fruit, and bright, vintage chairs all stand out in the best way possible. 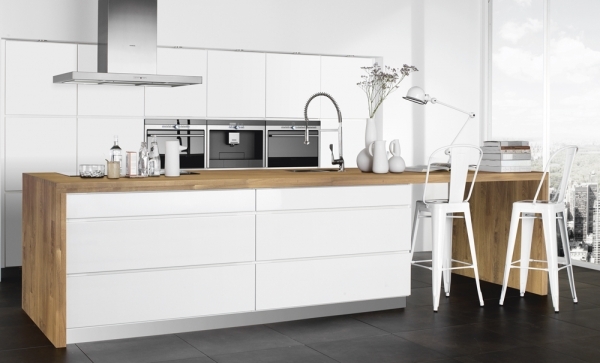 A kitchen should, above all, be a place of beauty and cleanliness. It’s important to feel inspired and happy in your cuisine-making space. After all, how else will you become the next Jamie Oliver or Rachel Ray?